Singapore, January 6, 2016 – Today at CES®, we (HKSE: 992) (ADR: LNVGY) introduced our portfolio of next gen devices: eight new laptops, desktops and monitors across our YOGA, ideapad and ideacentre brands that upgrade nearly every PC experience from work, gaming to entertaining. Leading with the YOGA 900S ultraportable convertible laptop, the new collection offers people distinct choice in performance, aesthetic and mobility. We engineered the YOGA 900S to be beautifully slim and noticeably lighter than previous models at 12.8 mm and 999 g with a new carbon fiber construction. The Windows 10 laptop features up to 10.5 hours3 of video playback so travelers can slip it into their carry-on luggage and fly from Las Vegas to London on a single charge. The convertible laptop’s 360-degree watchband hinge with four modes makes it easy to work through a long-haul flight in laptop mode with up to Intel® Core™ m7 processor, or to scan social media feeds in tablet mode. It delivers an immersive entertainment experience, thanks to Dolby Audio™ Premium for crisp sound and optional QHD screen (2560×1440) for crystal clear resolution. New to the YOGA family, it now supports an optional active pen so artists and note-takers alike can unleash their doodles and to-do lists, or annotate webpages on the Microsoft® Edge browser using the touch screen. PC gaming is enjoying a renaissance: analysts predict the market to reach US $35 billion by 2018, partly thanks to superior graphics and processing power, but also thanks to the meteoric rise of the eSports scene and free-to-play games.4 To serve this growing appetite, we’re launching four new additions to our Y series gaming family designed with high performance and portability for enthusiast gamers. 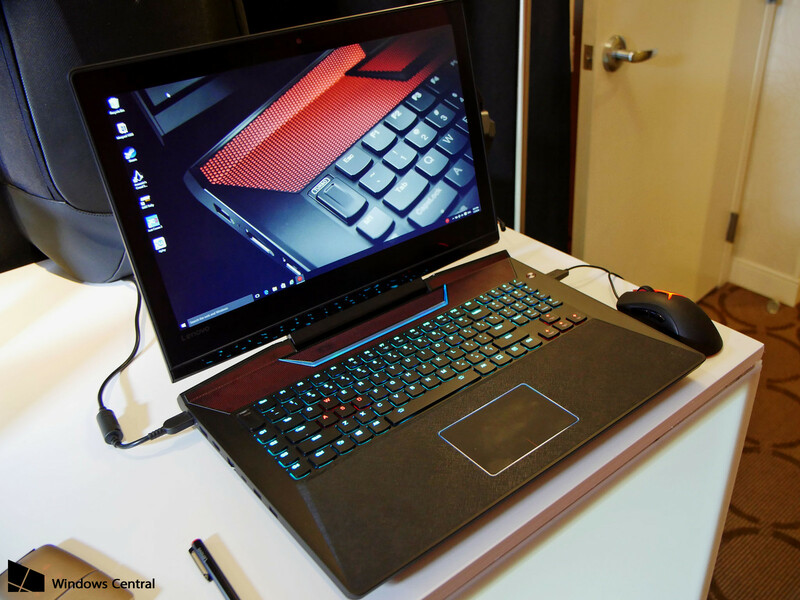 On-the-go gamers will want to take a look under the hood of the new ideapad Y900, running Windows® 10 and built for total immersive play whether hunkered down at home or at a friend’s man cave. Enjoy an instant boost in performance in more CPU power, more memory and enhanced GFX with a tap of the one key turbo button. With a quad core 6th Gen Intel Core i7 K-series processor for ultimate gaming performance, NVIDIA® GTX 980M graphics and a mechanical backlit multi-color keyboard, this 17-inch laptop is ready for the toughest virtual battles. We’ve also partnered with leading gaming lifestyle brand Razer to marry our hardware expertise with Razer’s popular immersive gaming technology and instantly recognizable Chroma lighting effects. Our first products together are the ultra-premium Razer Editions of the ideacentre Y900 RE and Lenovo Y27g RE Curved Gaming Monitor. The ideacentre Y900 RE takes the easy future upgradability and high performance users love about our current Y900 desktop and combine it with a quad core 6th Gen Intel Core i7 K-series processor and dual NVIDIA GTX 970 discrete graphics. Now the ideacentre Y900 RE gives users all this plus the Razer Edition styling, bundled Razer Chroma keyboard and mouse, and Razer Chroma multi-color lighting effects. Easy to upgrade and maintain, the ideacentre Y900 RE has a push lever that opens a stylish semi transparent side panel – showing off its neat, internal cable routing for future upgrades. To help gamers fully immerse themselves and push the boundaries of their gaming experience, we also created our first 27-inch FHD VA curved gaming panel. The Y27g Curved Gaming Monitor, is one of the first curved gaming monitors available today, has 144 Hz fast refresh rates and 8 ms response time. It also comes in a special Razer Edition with the brand’s distinct Chroma lighting effects. We innovated the ideacentre 610S to give users a new way to experience family entertainment. 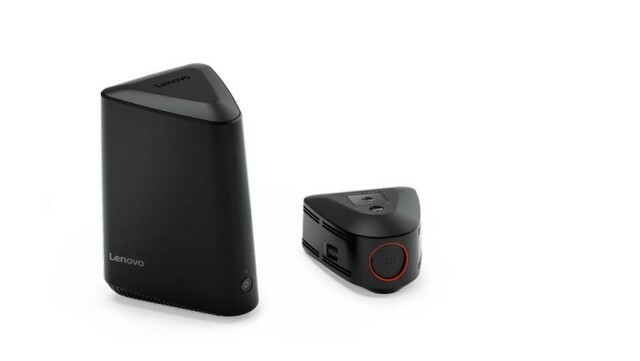 It is the world’s first compact home PC with an optional removable wireless projector.2 Now users can turn any wall into an instant 100-inch home theatre, project and play favorite videos or holiday slideshows all from a 2.2-liter desktop. Big on performance in a stylish small design, the Windows 10 PC offers the powerful functionality of a full desktop. The ideacentre 610S packs the firepower of its regular size counterparts with up to 6th Gen Intel Core i7 processor to enable seamless entertainment viewing, up to NVIDIA GTX 750Ti 2GB GDDR5 desktop gaming graphics, up to 16GB DDR4 memory and up to 2TB of storage. Thanks to its unique triangular design and metallic body finish, this plug and play powerhouse can fit nearly any home décor. Both the 15-inch and 17-inch ideapad 700 boast beefed up features at a great value. Running Windows 10, it has up to the latest 6th Gen Intel Core i7 Standard Voltage processors that deliver incredible performance and power efficiency, up to NVIDIA GTX 950M graphics, 1TB of spacious storage and optional JBL® stereo speakers for serious performance. 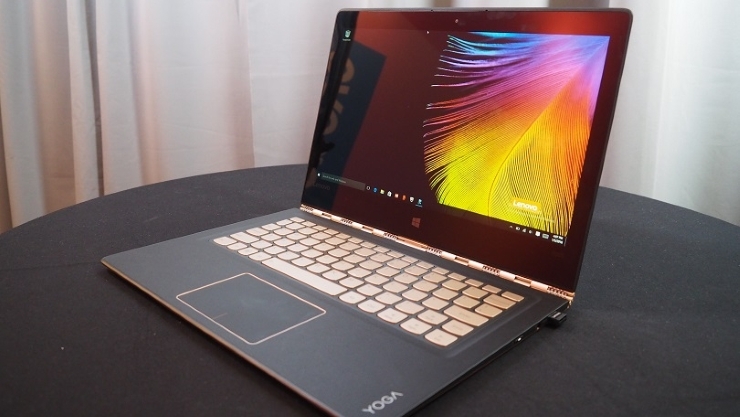 · The YOGA 900S 12-inch laptop starts at $1,099, available starting in March, 2016. · The ideapad Y900 17-inch laptop starts at $1,999, available starting in June, 2016. · The ideacentre Y900 RE desktop starts at $2,299 and is available starting in June, 2016. · Lenovo Y27g Curved Gaming Monitor starts at $549.99, available starting in June, 2016. 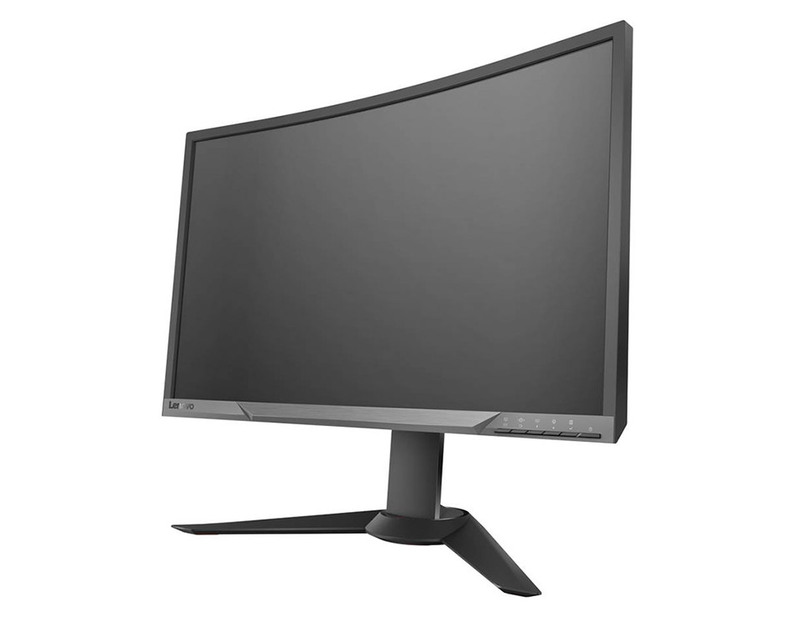 · Lenovo Y27g RE Curved Gaming Monitor starts at $599.99, available starting in June, 2016. · The ideacentre 610S desktop starts at $849 with the optional detachable projector, available starting in June, 2016. · The ideapad 710S 13-inch laptop starts at $799, available starting in July, 2016. · The ideapad 700 15-inch and 17-inch laptops both start at $799, available starting in June, 2016. 1 Based on a review of the major PC manufacturer websites on November 30, 2015. 2 Based on a review of the major PC manufacturer websites on November 30, 2015. 3 Battery testing is based on local HD video playback on a QHD display set at 200 nits with WiFi off. Battery life is approximate and will vary according different factors, including system settings, features selected and usage. The maximum capacity of the battery will naturally decrease over time. 4 Source: Open Gaming Alliance (OGA) on March 2, 2015. 5 Offers up to three times the Internet connection speeds of 802.11 b/g/n.